Hiking Runyon Canyon - HOLLYWOOD! L.A. would have been a terrible place for me to live in my twenties, trying to figure out what I want to do with my life, not that I'm entirely sure at 33. But now, when I go there, I start to dream of moving there and having a little garden with orange trees. Planning dinners at restaurants with al fresco seating and a cool breeze. Appreciating every single sunset and the somewhat hazy, unique quality of light framed by palm trees and blue sky. Eating really delicious, fresh, bright food. People are NICE in L.A., which made me suspicious at first. At Cafe Gratitude in Venice, I ordered a juice and they asked if I wanted to hear the question of the day. "Um, sure," I said cautiously. "Who's your hero??" the girl asked with a giant smile of her face. How nice. It left me thinking about who my hero was for the rest of the day. I'd have to live and work within a five-mile radius. Commutes in LA. are truly terrible and if I could avoid the 405 forever, I would. 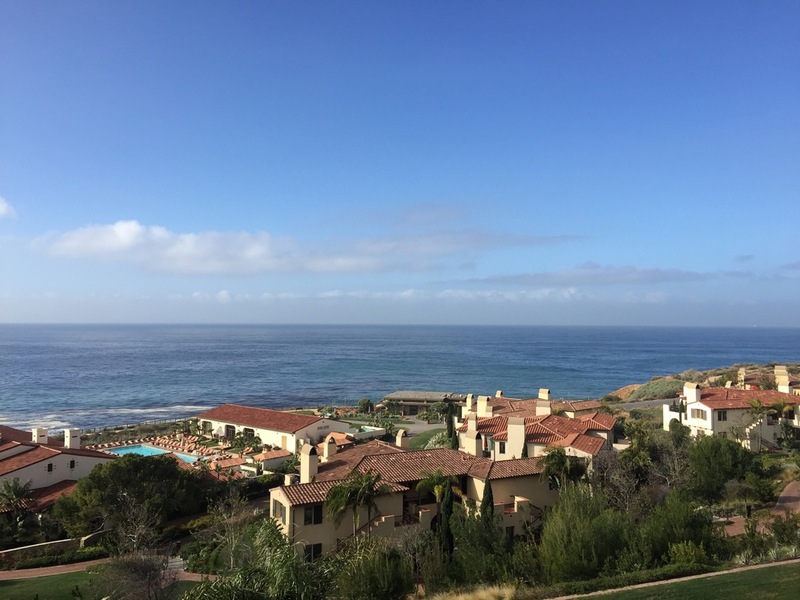 I went to L.A. to speak at Virtuoso's agency owner forum at Terranea Resort, which is a wonderful getaway from the city, about 90 minutes from Santa Monica, depending on traffic (the great L.A. disclaimer). I stayed on for the weekend at the Four Seasons Hotel Los Angeles at Beverly Hills and laughed until my stomach hurt with my brothers and sister-in-law. I updated my L.A. guide here but here are a few favorite photos from the weekend, starting with the view from my room at Terranea. Finally tried Gjelina in Venice on a rainy night. Totally worth it. The wonderful Four Seasons in L.A. Best staff, amazing views, and a green goddess juice I ordered three times.